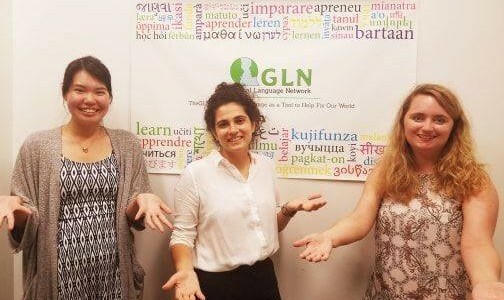 Join The Global Language Network in celebrating a summer of social impact! Send us a 300-word story about how you have used your GLN language skills to make a difference. Your story can be anything from connecting with extended family members to working abroad, and everything in between! If you have them, we would love for you to also share photos and videos from the impact you’ve made. As a not-for-profit organization teaching various languages, we recognize the importance of language and its unparalleled ability to bring people closer together. We want to highlight how crucial language is to shaping the world around us from something as simple as a small day-to-day interaction to something as large as working with a multinational organization. We believe that it is vital to bring notice to the value of not only these languages, but the cultures behind them as well. The Global Language Network will be handing out spectacular prizes to our favorite impact stories gifted by our generous sponsors. How would you like to participate in Aerial Arts lessons? Or, have you always wanted to watch a baseball game in our nation’s capital? Our prizes come from fantastic organizations such as The Washington Nationals, Dave and Buster’s of Silver Spring, Wine & Design of Alexandria, Trapeze School New York in DC, Logan’s Roadhouse, Restaurant.com, Prêt-à-Manger, Barcelona Wine Bar DC and many more! If you want to qualify, share your story along with any photos and videos you may have, by July 31st. Send your story to learn@thegln.org with the subject line “GLN Social Impact Stories 2018” for a chance to win, and for a chance to use language as a tool to fix our world.